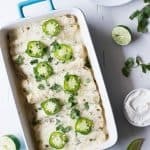 Tequila Lime Chicken Enchiladas with a Creamy Jalapeño Cilantro Sauce. 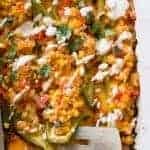 These enchiladas are SO flavorful! 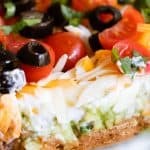 Full of tender tequila lime chicken, cheese, and topped with a cheesy, creamy jalapeño cilantro sauce. Enchiladas are maybe my most favorite mexican dish. 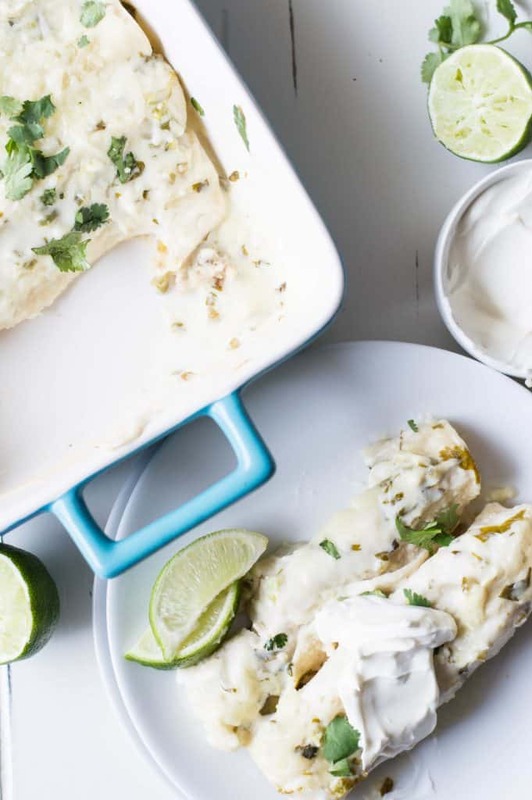 These Tequila Lime Chicken Enchiladas with Creamy Jalapeño Cilantro Sauce might be taking top spot for enchiladas in my heart currently. I’ve heard from several people that chicken just holds no appeal to them anymore. I think they might be making it wrong. 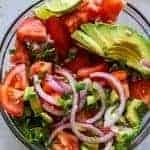 This chicken is super flavorful, tender and juicy. It’s everything you could ever hope that chicken would be. 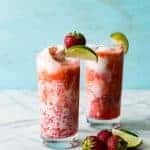 It’s cooked in the sauce (recipe below) but just to give you the highlights there’s tequila there’s lime and there’s broth. Cooking in the marinade the chicken takes on the flavors. The alcohol of the tequila cooks out, so no worries about a drunk toddler. Trust me. I know they may act drunk, but that’s just the toddlers personality. After the chicken is cooked remove it from the pan, shred it. Then place it back in the pan to swim in that wonderful sauce to really get as much flavor as possible. While the chicken is absorbing sauce warm the tortillas, otherwise they’ll break when you try to roll them. Now let’s move onto the sauce. 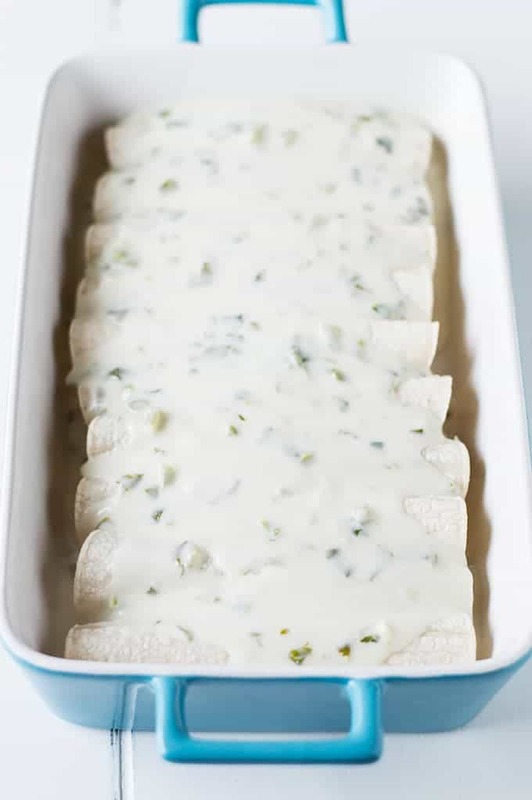 An easy to make cream sauce. I started with a basic sauce, melted butter, flour, chicken stock, sour cream. Added in some diced jalapenos and cilantro. And of course some cheese. It gets thick and creamy as it cooks. 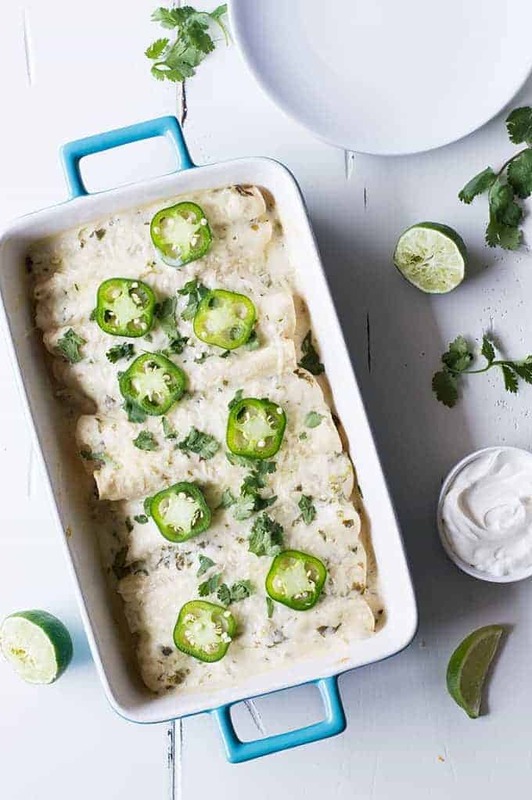 The jalapeño adds just the right amount of heat to this dish while the cream soothes and tones down the lime. It’s quite magical. Let’s face it, sometimes dinner is just a challenge. What to make? What’s easy? What will make the family happy? 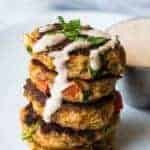 This is one of those dishes that you can toss together pretty easily. The chicken can always be made ahead of time and stored in the fridge, which means when it’s dinner time just take the chicken out, assemble and you’re good. 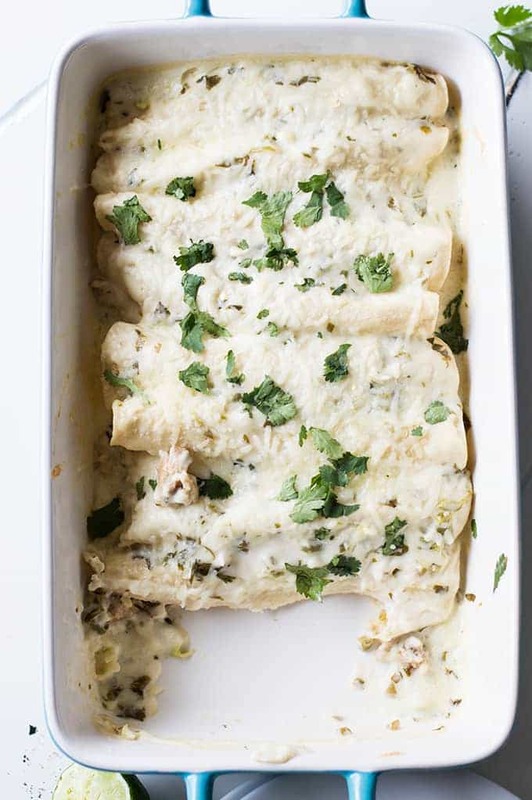 I will let you know one little tip when making these enchiladas. You want to use a chicken broth that is made with quality ingredients. Sometimes I make my own broth, aaaaaand sometimes I don’t. 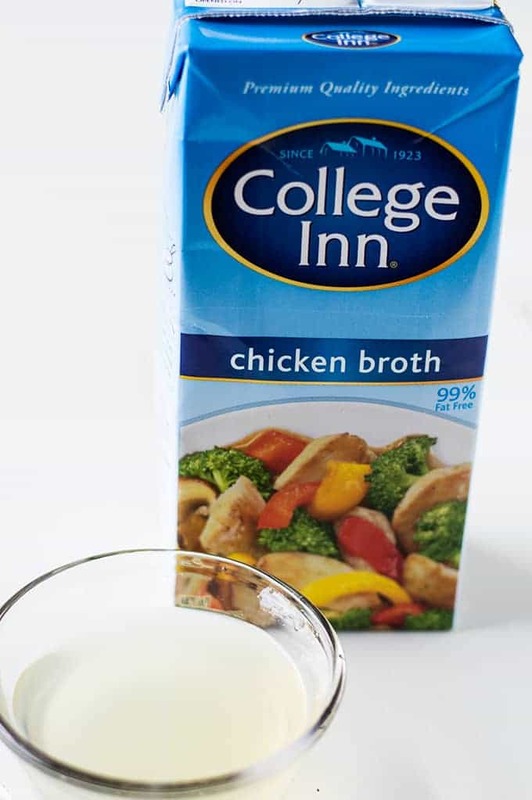 But I have found that College Inn chicken broth gives wonderful flavor to this dish. 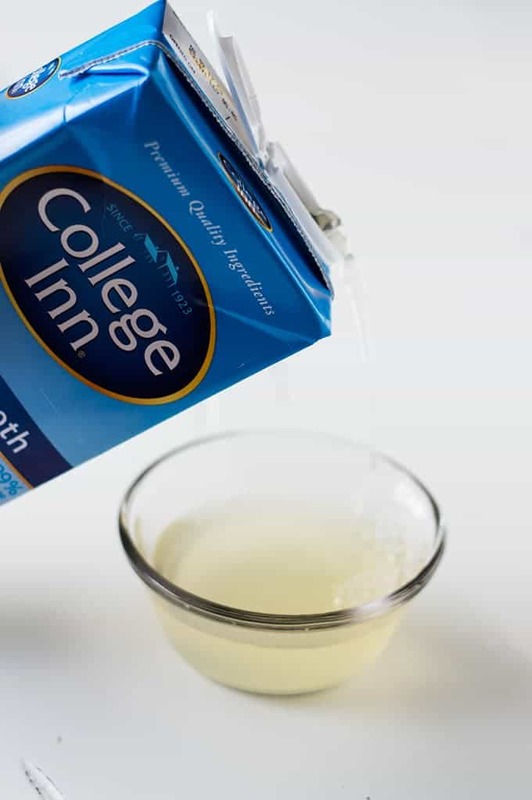 College Inn has been around for nearly 100 years and they only use the highest quality ingredients to make their broth. Don’t judge me on my ability to remove enchiladas from a pan… In my defense the first ones are the hardest to remove. After that it’s super easy. I promise. In large saucepan add the olive oil heat over medium heat. Add the garlic and cook for about 2-3 minutes until the garlic is fragrant. Add in the lime juice, tequila, chicken stock, salt and cilantro, stir until combined. Bring to a simmer. Add in the chicken and cook each side for about 10-15 minutes until the chicken is completely cooked, will no longer be pink inside. Turn the heat off. Remove the chicken from the pan and place on a cutting board. Shred the chicken then add it back to the pan with the sauce. Stir so that the chicken is coated with the sauce. In a medium size saucepan melt the butter. Add in the flour and whisk until thick and paste like. Cook for about 1 minute then add in the chicken broth. Whisk together. Spoon in the sour cream. Whisk until combined. Add the salt, diced jalapeño, chopped cilantro and shredded jack cheese. Stir until combined and the cheese is melted and incorporated. Bring sauce to a simmer to thicken then remove from heat. 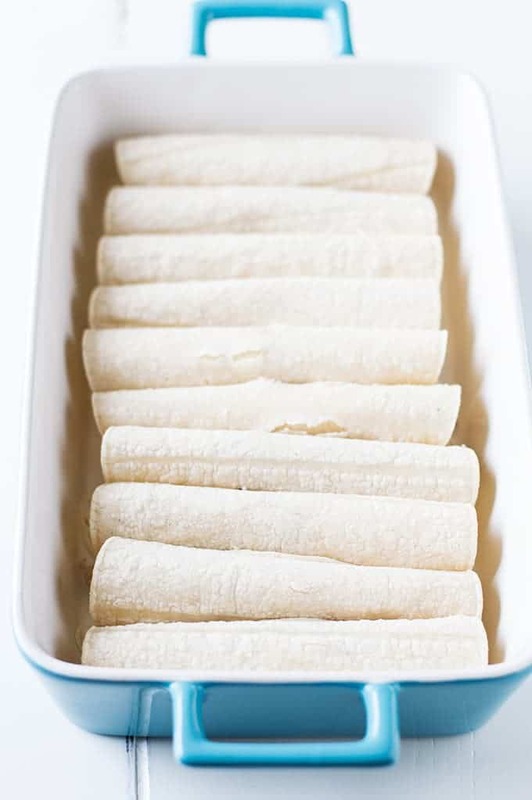 Heat the corn tortillas in the microwave. 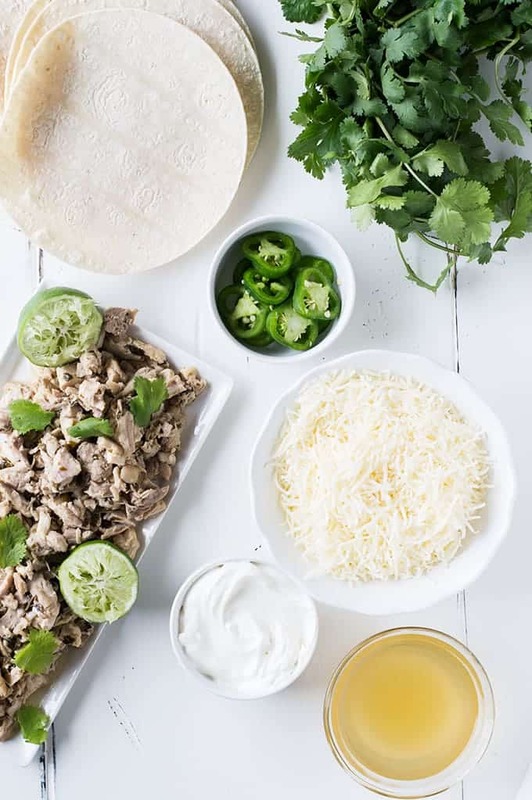 Spoon the chicken onto the tortilla, top with cheese. Then roll up. Place in baking dish. Repeat until all tortillas are filled and in baking dish. Top with remaining cheese and bake for another 5 minutes, until cheese is melted.